The law seeks to protect us from suffering an injury or becoming ill through work by placing a duty on employers to ensure workplaces are safe and don’t cause unnecessary risk to our health. Unfortunately, accidents still occur in work environments - but when they do, and an injury or illness has been caused by an employer’s or fellow employee’s negligence, it may be possible to make a claim for compensation. While the types of accidents that workers are at risk of being involved in may seem specific to occupation, such as the handling of heavy machinery or falling from height, being in a hazardous work environment isn’t the only way a worker may suffer an injury. Trips or slips in an office, repetitive strain injuries and stress are also common workplace injuries. Find out how much you can claim for personal injury in Scotland here. The law doesn’t only protect employees or workers if there is an accident at work. The general public may claim compensation if they suffer an injury while visiting a business. The relatives of those who suffer a fatal accident at work or contract a terminal work-related illness are also protected by the law and able to make a claim for the suffering caused by the loss of a loved one. It is important to get expert legal advice that takes a holistic approach to all the legal issues that may arise when making a personal injury claim following an accident at work. Seeking compensation for a work-related injury usually involves claiming against the employer’s insurer. A workplace accident compensation claim may also raise issues that an employer should address so a similar accident doesn’t happen in the future. Our specialist accident at work lawyers can also advise about health and safety law and employment rights, such as not being penalised by an employer for bringing a personal injury claim, and can trace insurers if an employer has stopped trading. Taking this approach means those who have suffered an injury that was caused by the act or omission of their employer or colleague can claim 100 per cent of the compensation they are entitled to. We also work on a 'No Win, No Fee'	basis. ensure your medical record is thorough and accurate by providing your doctor with all relevant information. Having this information to hand means a claim for compensation is likely to progress more quickly and efficiently. The more information you have access to, the greater the evidence for showing that another person or company’s negligence has caused you damage. This in turn raises the likelihood of receiving the maximum amount of compensation you are entitled to. Similar to all personal injury claims, the law entitles an individual to compensation if they suffer an injury and it was another person or company’s fault. The fault must be a negligent act or omission that leads to an accident which causes injury. This means it is possible to claim compensation for an injury caused in a work environment by the negligence of an employer, an employee or a contractor. Also similar to all personal injury claims, a workplace injury compensation claim must be brought within three years of the accident. After this period, the claim will be time-barred, which means it will not be possible to bring a legal action unless the court gives express permission for the claim to proceed. Health and safety legislation places specific rights and responsibilities on employers and employees that complement the general law of negligence. In particular, employers are under a duty to make sure employees have a safe working environment. 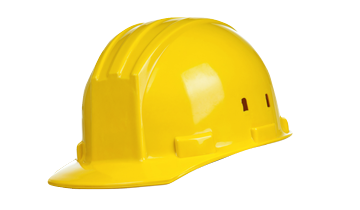 Employees must therefore be provided with equipment that is safe to use, suitable for the job at hand and undamaged. Under health and safety law, employers must also ensure that there are adequate amounts of safety equipment, that employees are protected against hazardous substances and that they have safe working practices and provide employees with adequate training. If an employer fails to do any of these things, and an employee subsequent suffers an injury as a result, the employer may be liable to pay compensation. Under the Employers’Liability (Compulsory Insurance) Act 1969, nearly all employers must have insurance in place that covers their liability for personal injury suffered by an employee because of their employment. If an employer doesn’t have insurance, or insufficient insurance, they are guilty of an offence and may be fined. The law places a duty on employers to have compulsory liability insurance in order to protect employees and encourage safe working environments. By having insurance in place, injured workers claim compensation from their employer’s insurer rather than directly from their employer. Importantly, compensation for a workplace injury or illness will be paid out under the terms of the insurance policy in force when the injury or illness was caused. As employers renew their liability insurance every year and do not have to keep details of expired policies, it is essential to get expert legal assistance. Our accident at work lawyers have the necessary skills and knowledge to find the details of old policies and track down insurers to claim compensation, even if an employer has subsequently gone out of business. Although the requirement to have insurance doesn’t apply to publicly funded employers or family businesses where an employer is a close relative, public sector and family member employees can still claim compensation for a workplace injury caused by an employer’s negligence. The law relating to employer insurance for personal injury can be complicated. For more information about whether you are protected by your employers’liability insurance should you suffer an injury or become ill, please contact our expert personal injury lawyers. What type of accident at work can I claim for? Falls from height are common causes of workplace injuries, covering accidents that occur many feet high to those just above ground level. Injuries are often caused by falling through a roof, falling because of faulty equipment such as a harness or ladder, or falling off a desk when changing a light bulb. Injuries can also be caused by items falling from height, such as tools falling from scaffolding. Operating machinery without the proper training or protective equipment, or that hasn’t been adequately maintained or guarded, can be very dangerous. Employers must ensure that their machinery is safe to use and that their employees know how to use it. Very serious injuries at work are often caused by a failure to maintain and properly safeguard machinery. Upper limb disorders, also known as repetitive strain injuries, are work-related disorders that can affect the fingers, hands, wrists, arms, shoulders and necks of employees. They are most commonly suffered by those who use computers or carry out repetitive lifting work and can cause stiffness, pain, tingling or numbness. Work-related diseases can have a physical, biological or chemical cause. For example, someone working in metal founding or forging industries may contract occupational deafness. Asthma may be caused by exposure to chemical agents, animals or wood dust. Terminal illnesses may also be contracted, such as mesothelioma following exposure to asbestos, or leukaemia following exposure to electromagnetic radiation. Have you been involved in a Workplace Injury that wasn't your fault? Call us now.